I have been suffering from gum problems from the last 5-6 years and have been going to several dentists in these last few years. My gums were swollen and used to bleed profusely.Everyone used to just do cleaning and there was no relief. Then I came across their brochure in newspaper and came to their clinic where surgery of my gums was done. After the treatment by their team of gum specialist at their clinic I got relief. It has been 2 years post surgery and I come for regular appointments for maintenance. 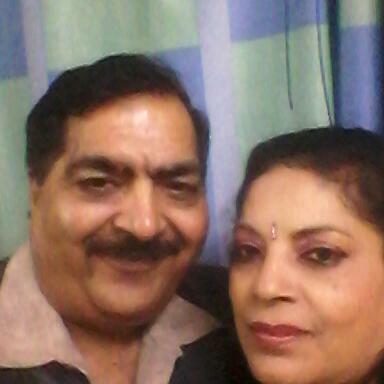 My husband Mr Ashok Taneja has got 6 implants ,RCT and bridges at their clinic.we have been coming to them from last 2 years and can say the pains they take for their patients is not found anywhere. There is no waiting for appointments and they themselves call up patient so that there is no scope of any negligence of treatment from our side as well. This has never been found in the so called old reputed clinics of the same area. We strongly recommend them for all dental needs if anyone asks us in our family. They have treated us like a family and we are very happy and satisfies with their treatment and with them too.